We all have that super-motivated, fitness-focused person in our life who is truly dedicated to the gym or tackling race after race. Giving healthy gifts for gym lovers is a loving way to show your appreciation for their drive and passion. Add some words of encouragement to a race bib display or hand sew a collection of helpful workout headbands to further enhance their daily routine. Go a step further and make a few of these handmade workout gifts below for a full fitness gift set. Package it all up and gift it before a big race, before heading into the New Year or just after accomplishing an impressive fitness goal. Arnica makes a great natural addition to any muscle cream after a long workout. Mix up a batch of this sore muscle salve and package in a Washi-tape decorated tube as a gift for gym lovers. A healthy gift to keep them energized and moving along, these personalized mason jars include etched motivational messages, perfect for serving superfood smoothies and protein shakes. Simplify a rainy day run by gifting a small container to keep running necessities nice and dry. Transform small plastic hydration gel tubes into stylish polka-dot cases to protect money, bobby pins and whatever else they may need along the way. Twist and tie straps of jersey t-shirt material into customizable headbands fit for yoga class and the gym. 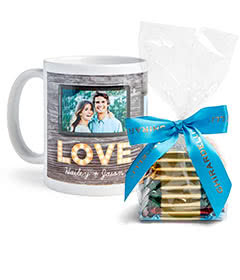 Create a colorful collection to group together into a gift set. Heading the gym is the ultimate stress relief. Create a handsewn gym bag shaped just like a large pink pill and label appropriately with playful, iron-on vinyl message. Add their name for a personalized accent. It’s quite tricky displaying all those race bibs and medals in a stylish way. Spruce up a small wood palette with some bedazzled doorknobs and metal clips to show off their race of the month. It isn’t easy to keep all those weights, yoga mats and sporting wear clean. A great gift for gym lovers, combine a natural, four-ingredient spray into a spritzer bottle and include a handmade book of tips for keeping gym gear fresh. A great handmade gift for gym lovers and distance runners alike, this customized armband carries phone and workout accessories with customized fabric fit to their tastes. Follow this easy-sew gym bag pattern to create a personalized gift for gym lovers. Attach a lining to the back of the patterned fabric and cut to size for game day, gym or dance class outings. Carved with a health-inspired phrase, these serving and cutting boards are ideal for offering a collection of fresh veggie treats. Wellness boards are a play on the charcuterie plate, but one perfect for light, nutrient-rich snacking. Mod Podge a collage of race bibs onto the front of a simple piece of plywood and add sturdy hooks to hang all their race medals for home display. Design a custom jacket zipper charm for the active person in your life. 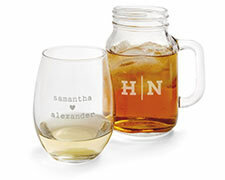 Personalize it with their name or favorite workout icon and bedazzle and decorate to each person’s style. A stylish workout gift for a gym-themed birthday basket, these personalized water bottles feature vinyl stick-on lettering to display a nickname or motivational phrase. Deck out a fitness-friendly hat to keep their hair out of their face on a run or at the gym. Use a stencil and fabric spray paint to jazz up the front, adding stars and designs fit to your friend’s style. This crafty gift box idea transforms a cardboard tube into a silver hand weight filled with treats. Pack it with post-workout snacks or small accessories like headphones. Completing a long race deserves celebration. Add golden, painted accents with the date and name of their half or full marathon. Include stylish details like arrows and other fun icons to jazz it up. Aid in their precious recovery with a pampering glass jar filled with everything you need for a homemade wellness spa night. Soothe aching muscles with scented Epsom salts, bath bombs or bubble bath. Spice up a pair of plain black yoga capris by bleaching a handmade pattern with a bleach pen. Once the bleach has set in, add your own pop of color to the design. Personalize this as a workout gift for your favorite birthday girl. Construct a seamless workout headband, fit for the yoga studio, gym or a daily run. By sewing the jersey-style fabric in a tube-like shape, the seam remains on the inside of the band, keeping it sleek and stylish. The best type of gifts for gym lovers keep them moving in comfort and without interruption. Attach cord locks to a new set of thick elastic laces and cap off the end with Scotch and Washi tape for a touch of color. Hosting a workout gathering? Concoct your own sports drinks from coconut water, salt, lemons and simple syrup and add your own flavor variation using fruits and berries. Keep the fitness lover in your life super motivated by gifting them with a personalized photo workout notebook. Add pictures of all your adventures together and pair with a collection of other workout-focused gifts. An excellent project for beginner knitters, this customizable headband helps morning runners warm up and yogis get moving on the mat. Package with other handmade workout accessories for a healthy gift basket idea. This unique gift for runners helps them keep track of their personal marathon and half-marathon pacing splits. The times signify whether they speed up or slow down during their race. Laminate with double-sided tape so they can attach it on race day! Showcase the huge accomplishment of finishing a race by covering a new fitness journal in a race bib. This makes a great workout gift for Christmas, just before New Year’s Resolutions. Motivate the gym lover in your life to properly hydrate with a motivational water bottle. By adding playful measurements and messaging to the side of a bottle, they’ll never forget to drink all the water they need during their next workout. After a long run, it’s important to recharge with a healthy dose of protein and anti-inflammatory ingredients. Mix up these frozen pops and bring them to your next workout group’s gathering as a healthy gift. This simplistic DIY race display includes a place for your a race bib, a hook for race medals and a printable motivational quote. Connect them all to a thick piece of wood to hang proudly in their home. Yet another great way to reuse those race bibs, Mod Podge a collection of bibs in varying layers and positions onto a sturdy plastic clipboard. This makes a great spot to hold their workout plan for the week. Combine a fun collection of patterned fabric and follow this easy-to-sew pattern for a customized phone waist belt. The runner in your life can hold their keys, phone and any other small accessories helpful for their jog. No need to invest in a pricey water bottle to make it look stylish. Add your own design of wood-grain vinyl tape to the sides of a plastic bottle and pair in a workout gift box. This thoughtful little runner gift provides a boost of sugar midway through a difficult workout. Package gummies, licorice and other sugary boosts into a small pack of sealable wrap for tucking into their running belt. A soothing boost after a long workout, this two-ingredient moisturizer combines coconut and essential oil and works perfectly in a post-run shower. Package in a bottle and add a decorative DIY label to personalize. When your little one heads to dance class or out with you for a family jog, gift them with a stylish DIY headband in their favorite color. Dedicated winter runners will head out no matter the weather. Give the gift of a cozy morning run by trimming the sleeves off an upcycled sweater and adding thumbholes for optimal movement. A great gift for your gym-loving husband or wife, this simple and sturdy running band features tough elastic material to hold phones and money in place as they hit the track or tackle the treadmill. Congratulate your favorite marathon runner with a congratulatory gift basket. Include a hand-stenciled candle with the kilometer total of either a half or full marathon. Race bib displays should blend in with the aesthetic of a home. Connect shortcuts of wood in an asymmetrical pattern before varnishing in dark finish. Add a motivational quote as well as hooks for hanging medals and race numbers. By simply trimming the inside of a beer Koozie, add an easy-handle grip to a running water bottle to keep them hydrated on their workout. Package this crafty gift with other workout accessories like headbands and exercise journals. Whether you’re a gym enthusiast yourself or just want to support the fitness fiend in your life, try out these crafty and personalized presents to encourage a healthy lifestyle and motivated life of exercise. As a special surprise, pair your workout gifts with a game plan to train and run together in the future, combining personalized accessories with a great experience for the months ahead.